On Thursday January 23rd The Daily Targum, official newspaper to Rutgers New Brunswick students, published in its opinion section a commentary on the new Rutgers Hillel building, which will become the main Jewish student life center on campus. A controversy swiftly arose as most saw the article as a poorly written and hateful commentary against Rutgers Hillel, and even Jews in general. This commentary has been retracted. A response from The Daily Targum will be published in the paper on Monday, Jan. 27, 2014. Later on they added a link to the apology from the Editor in Chief of the Targum. The crucial moment in these events is the point when the Targum decided to retract the commentary, deleting it from their official website. Fortunately it can still be read here. Even though you may still be able to read the post elsewhere, this fact doesn’t make what the Targum did anything less than self-censorship. This story, I believe, exemplifies two arising problems surrounding the media. First is the disturbing act of self-censorship, found in a manner unique to online publications. The second is an unbeneficial public response to the media by only asking for an apology. 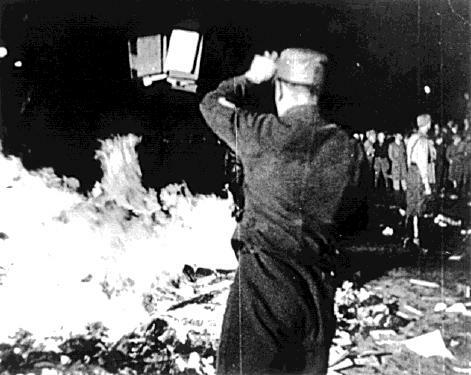 Book burning has always been around. But it’s a very intensive process. Now a publication can disassociate itself from an article with a few clicks. In all cases of post-meditative self-censorship, where the speech has already been taken place, the censor actively takes knowledge out of the consumer’s grasp. In the past when hindsight has shown that a sentiment was incorrect or taken back there was a physical record dispersed throughout the public which shows that sentiment or wording. In contrast, today when an original file is taken offline it is permanently deleted, or at least deleted in an easily accessible format on the source’s website. Without the original file published on the website how else can the public demonstrate their ability to actually judge and critically determine whether or not they agree with any subsequent response to the mistake? They are no longer able to look at the original mistake and can only read the response to it. Any rewrite and polish of the official historical record of the publication’s website necessarily robs people the chance for recompense. In this case it is impossible that the subsequent response and letters to the editor can be meaningful unless the average reader can see for themselves what they are going on about. All we are left now are doubts of such publication’s credibility. A second point I believe we should take from this debacle is that the Targum was solicited to apologize, as so many in the public eye are meant to do. An apology is a nice gesture and sometimes even necessary. But to me only seems heartfelt if the one doing the apologizing performs it from criticism about the ideas involved. In this sense the Jewish populations hurt by the words are right to criticize the content of the article. Then if reality settles in and the Targum is actually sincere about not wanting to publish such commentary they would apologize on their own. After a criticism of the published ideas, if they in fact don’t apologize on their own, it would prove to the Jewish community that they should mistrust the Targum. But with the mere asking of an apology, without criticism of the ideas expressed, it is now more difficult to tell whether or not the Targum performs it sincerely. An institution’s intention actually becomes clearer when we see them instead respond to being told what it seems like their intention looks like. We get the spectacle of finding out a newspaper’s actual agenda when it is handling actual substantial criticism of the ideas expressed. In contrast the line between duplicity and sincerity seems foggy if only an apology was implored by the offended group and only an apology is given. It is my point of view that what the Jewish community should seek is the true agenda of persons and not a scripted agenda which throws a curtain on the entire issue by means of apology. The way to find such an agenda is to criticize and then observe the response. To close I must contest that to critique and be aware of these parts of our media landscape is to empower oneself against the duplicity and biases of the press/media. The position of the skeptic in the media landscape is to obtain information based on what they publish. This becomes more critical when it seems like they are hiding the truth. It also may lead to a mistrust of that organization. It is also the job of the skeptic to criticize the public authors, speakers, and private publishers. It is the result of asking for only a wanted apology that makes this job a bit more difficult. Now it becomes that much more difficult to trust the sincerity of that apology. One can at that point shrug and guess that it may just be a ‘good PR’ practice. Reading current events is how one gets news. While reading between the lines in the backroom of the press is how one gets a perspective. Jimmy is in his third year of studying both Mechanical Engineering and Philosophy while taking part in academic research on piezoelectric materials. While focusing on his course work he runs a youtube channel, as the GingerAtheist, which is meant to be a minor platform for his future ideas about the world according to him. 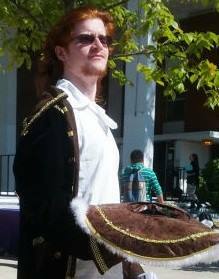 During the bouncing back and forth of an enriching academic life and enriching soap-box he frequents the Atheist Student Alliance and is Purser of the Rutgers Pastafarian‘s finances. I found this article to be exceedingly offensive. Paul should take it down immediately and issue an apology to the entire Targum community….just kidding. Great post; I look forward to reading more from you.